•No. 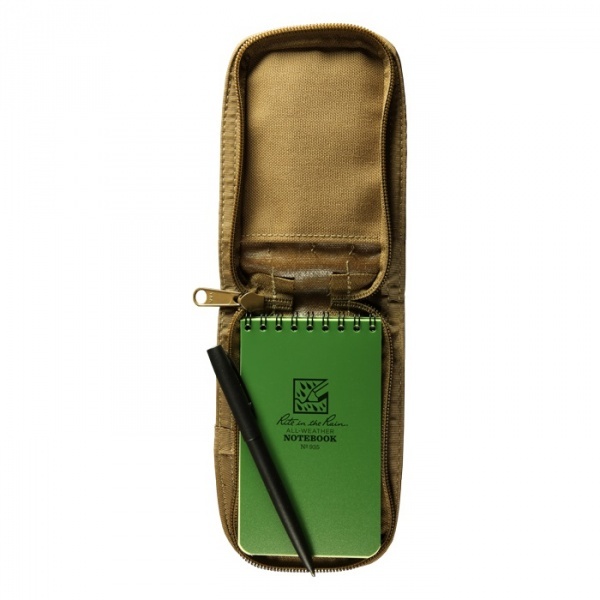 935 Tactical Pocket Notebook (3 in x 5 in) Green The global standard for tactical colored notebooks. 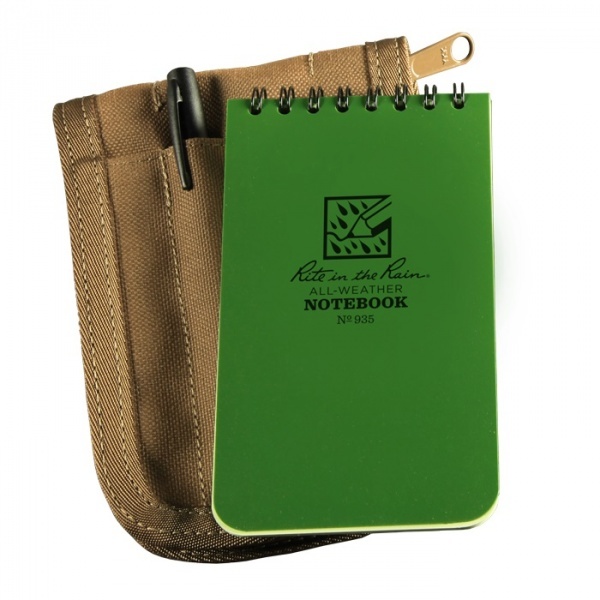 Protect yourself and your notes by using the Rite in the Rain Tactical Pocket Notebooks. These spiral bound notebooks have 100 Universal pages (50 sheets) in Green. With the Universal Pattern you can use this text for notes and scaled drawings. Useful reference material is also printed on the back and inside cover. •No. C935 CORDURA® fabric Cover - Tan These CORDURA® fabric Covers fit all 3 in x 5 in top spiral notebooks. They have a rugged zipper closure and hold up to 4 writing utensils! Purchase through PayPal by using the "Add To Cart" button above or use the form below to order the Rite-in-the-Rain Field Notebook 935 KIT . 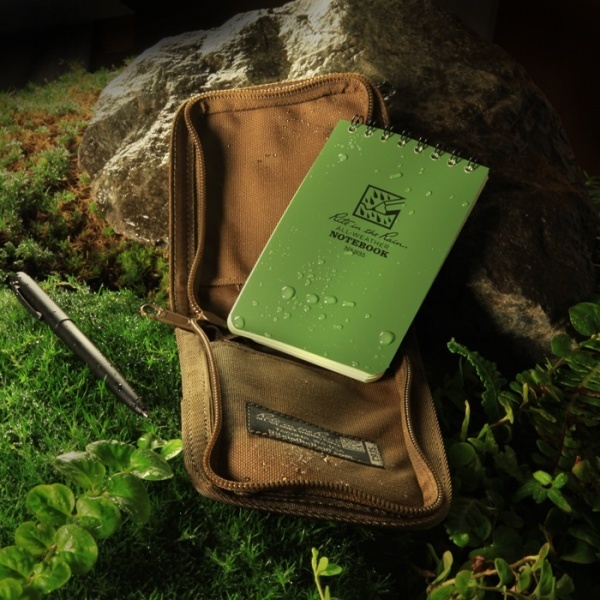 Feel free to contact us if you have any questions about the Rite-in-the-Rain Field Notebook 935 KIT .